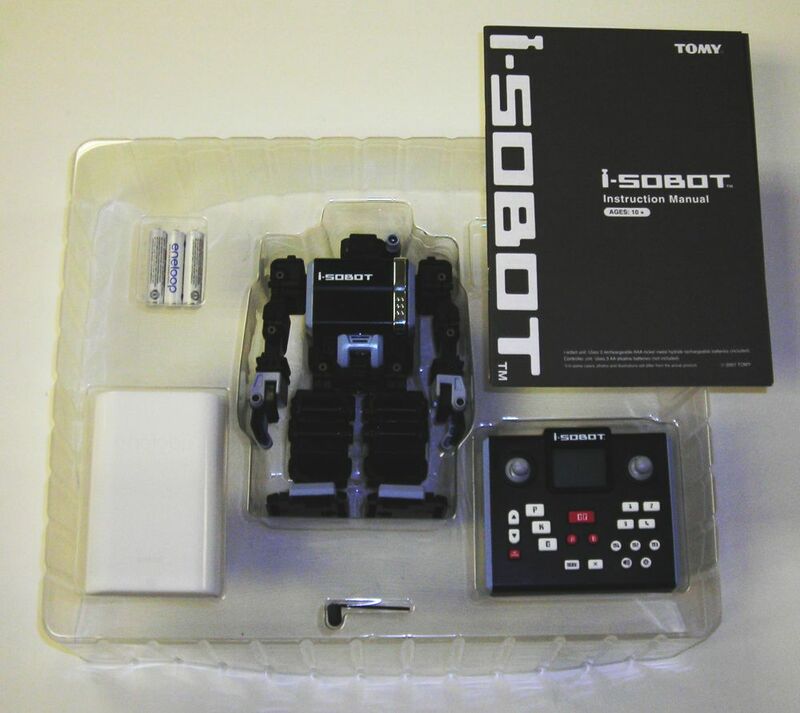 Last week, when we got back from the iHobby Expo, there was a nice surprise waiting for us: our iSOBOT shipment finally arrived! Naturally, we did what all decent geeks do when they get a new toy. We took a bunch of pictures and videos, and now we’re sticking them on the internet. The box is pretty awesome. It looks like brushed stainless steel. It’s so shiny that it kept overloading my camera’s iris, causing most of my pictures to come out almost completely black. an allen wrench for tightening the joints if necessary. 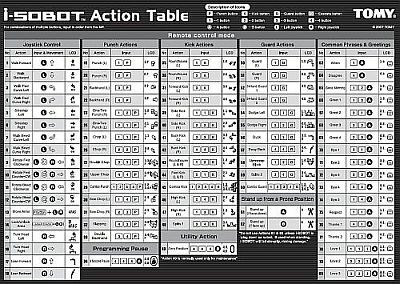 Download the Action Table and manual in PDF form for a closer look! He’s just a little taller than a piece of American paper currency. 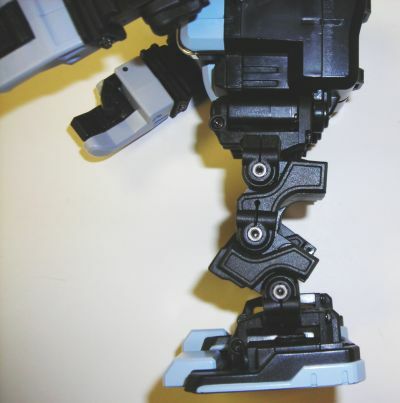 Leg detail: The servos in this guy are freaking TINY. You have no idea how hard it was to resist the temptation to just tear this thing apart and build something else out of the tiny servos. 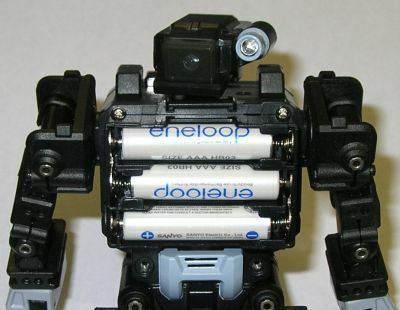 The battery case, located in i-SOBOT’s chest cavity, holds three AAA batteries. Below the batteries you’ll see his speaker, which is behind the gray plastic grill. Hand detail: The thumb, finger, and wrist are movable, but not motorized. 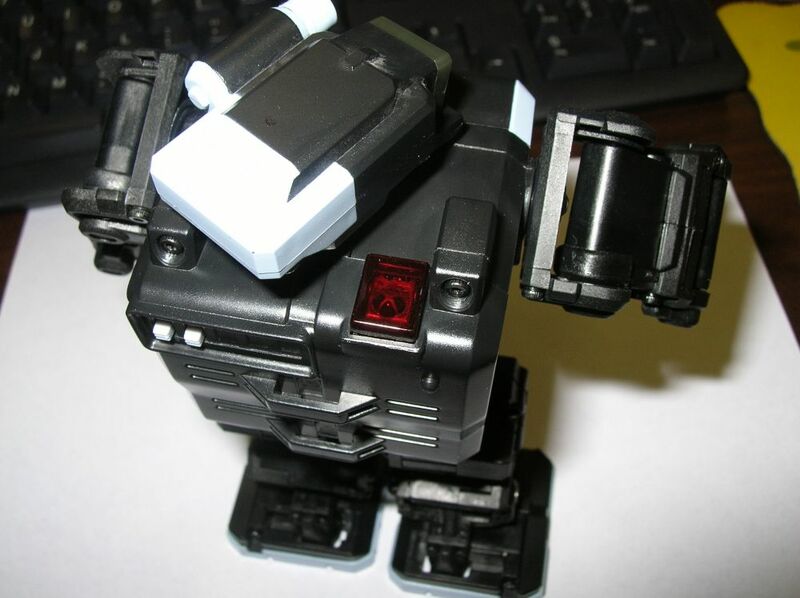 Head detail: The head swivels. There is one green LED inside, and one blue LED outside. 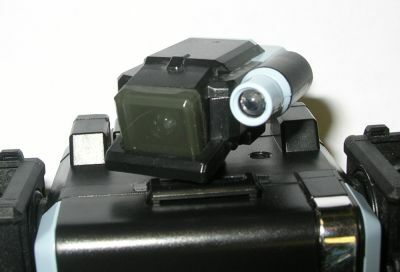 The IR receiver, located on this critter’s right shoulder, looks identical to the one found on Robonova’s head. Quick demo. 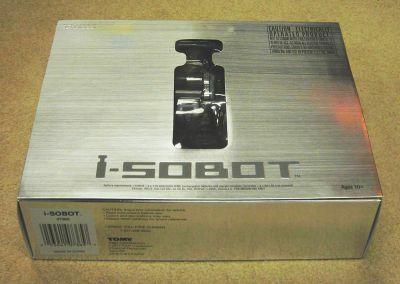 One of the cool things about i-SOBOT is that, in addition to using the canned motions, you can also directly control his limbs from the controller. That’s mostly what we were doing in this video. Here are some of his slick fighting moves. He punches, kicks, and makes some fun sounds effects. He also talks, laughs, and I think he even begs for mercy at one point. Come see Matt Trossen speak at RoboDevelopment! "Standards, Hardware, & Architecture for Next Generation Robotics: Drawing a Roadmap for the Merging Worlds of Robotics and Computers"
If you're planning to attend the RoboDevelopment Conference in San Jose, CA (Oct. 25-26), don't miss your chance to see futurist, visionary, and robovangelist Matt Trossen speak about the rapidly-changing world of robotics! The field of robotics is ripe and ready to move away from its esoteric roots, but how are we roboticists going to help bring robotics into the mainstream, for the betterment of mankind? Matt will be speaking at 2 p.m. on Friday, Oct. 26. Follow this link for a complete schedule of RoboDevelopment speakers. The advent of low-cost modular hardware built around ever-shrinking computers is ushering in a new era of innovation and advancement for robotics. Join Matt Trossen for a discussion about revolutionary new tools available in the marketplace that are changing the landscape of robotics development. Understand how migration from proprietary systems toward modular solutions, high-level languages and standards is driving a new wave of unprecedented growth in our industry. The future of robotics has arrived and is waiting on your doorstep. Don't get left behind! Matt Trossen is founder and CEO of Trossen Robotics, an online hardware store for robotics developers. 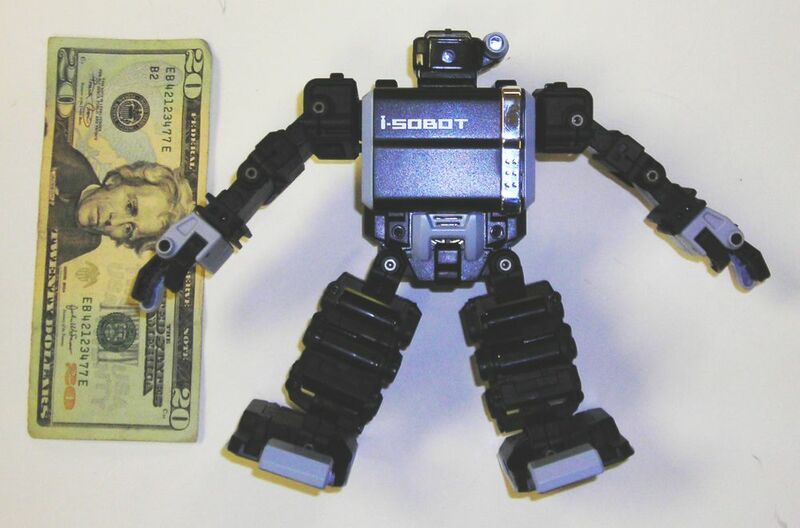 Trossen Robotics serves the hobby, educational, and research robotic market places. Matt is also active in the community promoting advancements through establishing development partnerships between companies, driving standards, and advising in areas of product development, distribution, and market development. 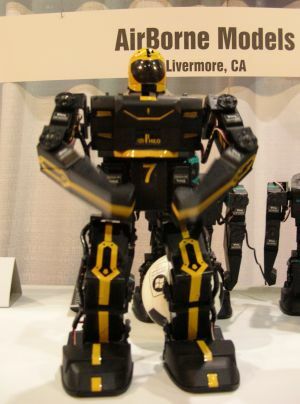 The TR team spent last weekend at the iHobby Expo, and we were impressed by the strong robotics presence at the event. One of the high points was getting some hands-on time with the brand new RoboPhilo, and speaking with some of the minds behind it. RoboPhilo is another addition to the growing number of â€œbudgetâ€? humanoids on the market. To keep the cost down, RoboPhilo uses plastic frames instead of aluminum, and lower-cost hobby servos instead of precision digital servos. Of course, some performance is sacrificed, but RoboPhilo makes up for it in a number of ways. 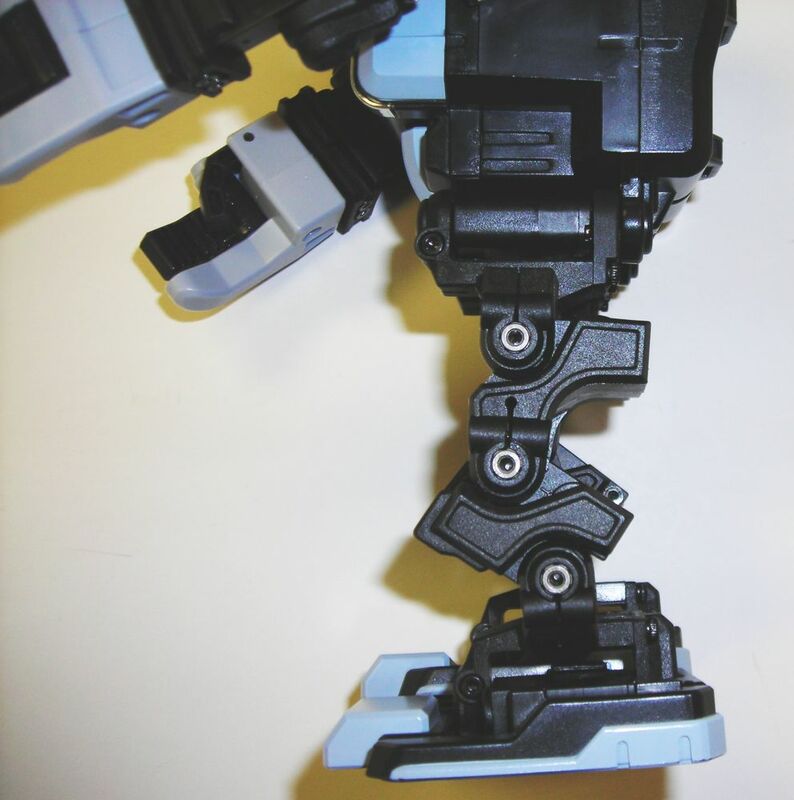 For starters, the articulation is great. It has 20 servos, including hip and waist rotation. 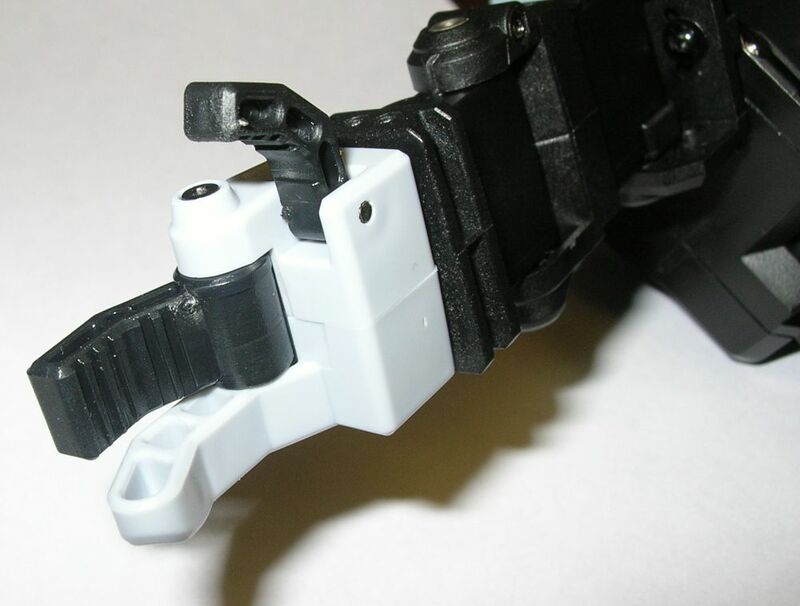 The hip and waist joints are pivoted by indirect-drive systems, so less load is placed directly on the servo axes. The software is very intuitive. 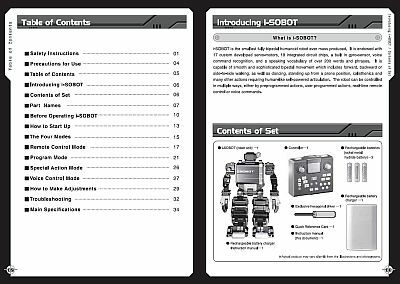 It has a graphical interface for setting servo positions and programming motion sequences, and an SDK for people who want to use some of the robotâ€™s more advanced features. 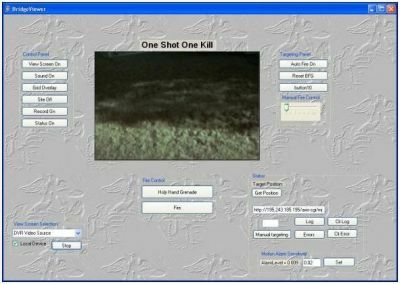 The SDK will be necessary for accessing the 8 analog inputs and setting up sensor-driven events. Unfortunately, since the servos are analog, there is no "pose and capture" capability for setting servo positions. We spoke with RoboPhilo’s creators at the expo, and they said that a firmware update was in the works that would add support for digital servos. 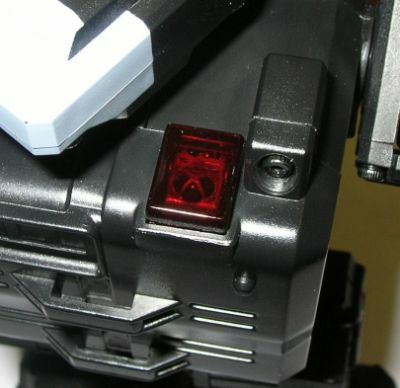 They also said that there are many add-ons coming, such as servo upgrades and sensors. Weâ€™ll be keeping a close eye on RoboPhilo.com for updates. We shot some video of RoboPhilo in action, and also of the software. We’ll post the software video as soon as YouTube is finished processing it. Edit: Here’s the software and overview footage we promised. 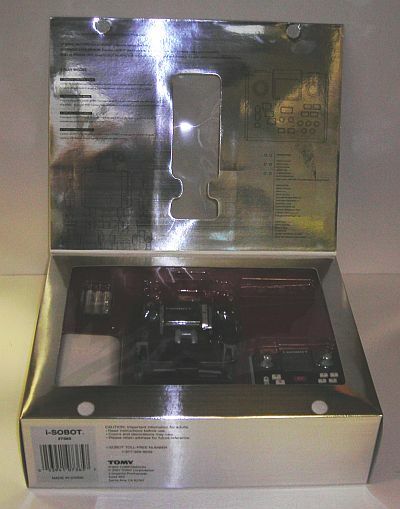 UPDATE: We now carry the RoboPhilo! Teenagers keep cutting through your yard without asking? Here is a solution for you. 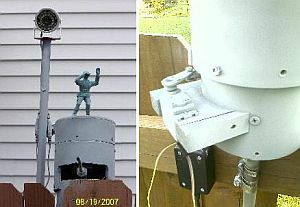 The Waterhobo, a motion triggered water cannon with a webcam to capture the offenders. We just received a nice heads up about a video from speaker Hod Lipson’s demonstration at the TED Conference. Engineer Hod Lipson demonstrates and talks about a few of his cool little robots, which have the ability to learn, understand themselves and even self-replicate. At the root of this uncanny demo is a deep inquiry into the nature of how living beings learn and evolve, and how we might harness these processes to make things that learn and evolve. We checked out the video, and I must say, Hod is working on some amazing stuff! I recommend checking this video out; He has a pretty interesting perspective on robotics. We thought judging last month's entries was tough, but we had no idea what we were in for this month. As usual, the Trossen Robotics staff scored projects from our "Project Showcase" forum on a scale of 0-5 for documentation, coolness, ingenuity, and creativity. These were all very, very close. Just remember: we loved all of your projects, and as far was I'm concerned, you're all winners. Enough inane chatter; here are the results of September's "Submit Your Project And Win" contest! This month, the runners-up are all family-related projects. We weren’t intentionally going for a theme, but we’re happy with the way the chips fell. Great job, guys! 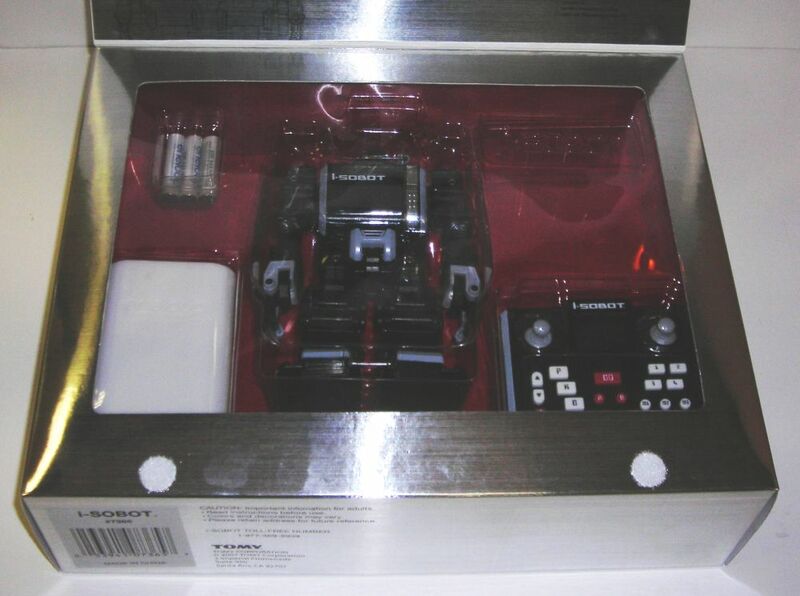 Project: "Digital Slot Car Controller"
Tim doesn’t like the neighborhood hooligans cutting through his side yard. 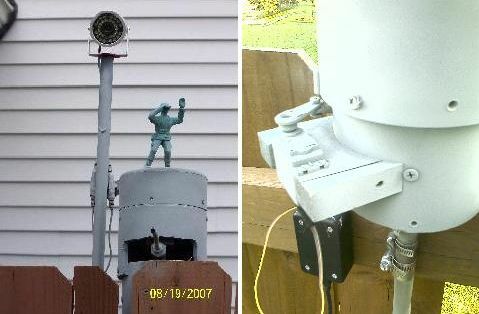 Obviously the only practical solution was to make a night vision equipped, motion tracking, automated water cannon to soak them if they set foot on his property. That’s right, show ’em who’s boss! Since we’re a bunch of crotchety old men who spend a lot of time on our front porches shaking our fists and yelling "Get the heck off my lawn," we couldn’t help but love this project. If there’s one thing we like almost as much as playing with robots, it’s grillin up delicious meats. "USB-Q" is a BBQ smoker automation system. Anybody who’s ever spent a day operating one of these beasts will recognize how useful this project is, so practicality was a major factor here. 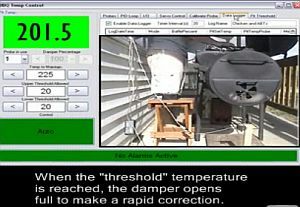 He wrote a cool VB.NET application for monitoring and controlling the temperature, and the system can be activated by a control box located by the grill. A Phidget 8/8/8 board is used to read the inputs. It also tracks the temperature over time, which is helpful for tweaking the PID algorithm for more accurate control. "White Lies" is a piece of techno-art that responds to galvanic skin response (like a polygraph), so it behaves differently depending on who’s using it and can actually be affected by what’s going on in the user’s head at the time. Kind of freaky huh? It scored major points for creativity (I guess the judges were in an artsy mood this month). We also liked the two videos, which did a great job of describing how the project came to be, what it’s purpose is, and how it works. It involved some interesting construction and mechanical design, circuit design, microcontroller programming (Arduino), and it looks really cool! We want to thank everyone for their great submissions. October’s contest is already rolling. You can stay up to date on contest rules and regulations at theSubmit Your Project and Win contest page, and start posting your projects in our Project Showcase Forum. 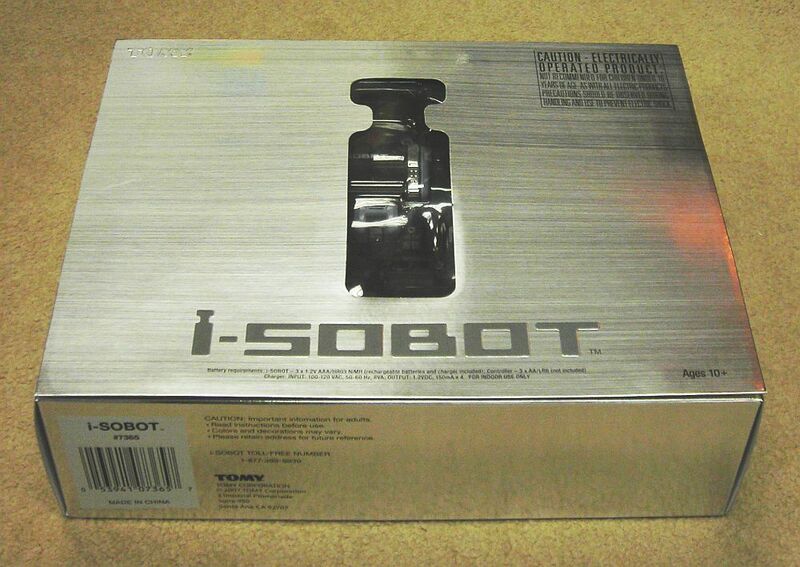 Saturday & Sunday October 20-21 iHobby Expo is open to the public and this year there will be a lot of robots there. iHobby has a robotics pavilion to introduce all the RC geeks to their newest friends, robots! Trossen Robotics was invited to come and we will be there showing off some humanoids. Some other cool robot people that will be there are: Chibots (Chicago Robotics Club), Robot Magazine, CRCA, and others. It should be a good time, if you are in the area stop by!